The inspiration found in author Joel Osteen's #1 New York Times bestselling book Break Out touched lives around the world. Now DAILY READINGS FROM BREAK OUT contains meaningful quotes along with insightful and thought-provoking prayers written by the author. It is designed to guide, encourage, and uplift you every day of the year. We were not created to just get by with average, unrewarding or unfulfilling lives. God created us to leave our marks on our generations. Every person has seeds of greatness planted within by the Creator. This devotional will help readers break out and break free so they can believe bigger, increase their productivity, improve their relationships, and accomplish their dreams. Filled with faith and motivation, DAILY READINGS FROM BREAK OUT challenges readers to have a new perspective, to let nothing hold them back, and to reject any labels that might limit them. Daily Readings from Break Out! 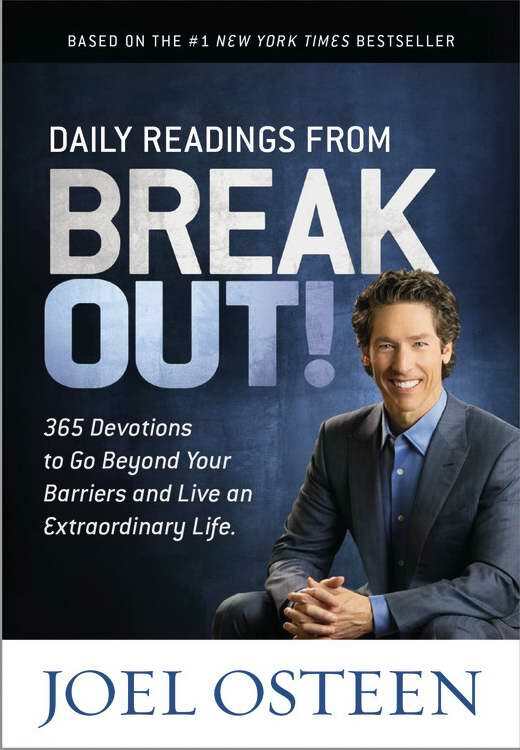 : 365 Devotions to Go Beyond Your Barriers and Live an Extraordinary Life by Joel Osteen was published by Faithwords in October 2014 and is our 64294th best seller. The ISBN for Daily Readings from Break Out! : 365 Devotions to Go Beyond Your Barriers and Live an Extraordinary Life is 9781478982951. 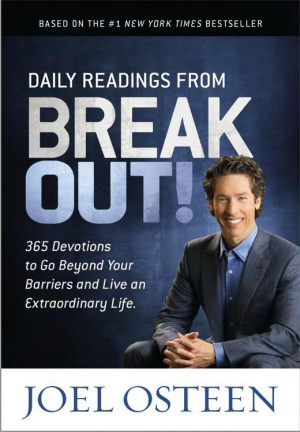 Be the first to review Daily Readings from Break Out! : 365 Devotions to Go Beyond Your Barriers and Live an Extraordinary Life! Got a question? No problem! Just click here to ask us about Daily Readings from Break Out! : 365 Devotions to Go Beyond Your Barriers and Live an Extraordinary Life.